I want to give you a quick update on what these next couple weeks hold for me. This coming weekend, I have a commitment with our church. 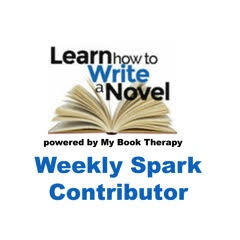 Next weekend, I will be attending the American Christian Fiction Writers conference. I need to scale back my blog preparation time. So, I have prepared a few posts with quotes I like and want to share with you, along with a some thoughts and a question. I’ll be back to my regular posting schedule beginning September 17th. On September 19th, I have a special surprise planned! I hope you’ll join in the conversation! As I considered this quote, I realized I had never thought about the role passion plays in faith. If someone chooses to live a life of faith, passion is reflected in how that person speaks, acts and in the choices made. My challenge is to live out my faith with passion. I don’t always succeed, but because my faith is in Jesus, I find grace when I make mistakes. Grace that allows me to try again. What about you? 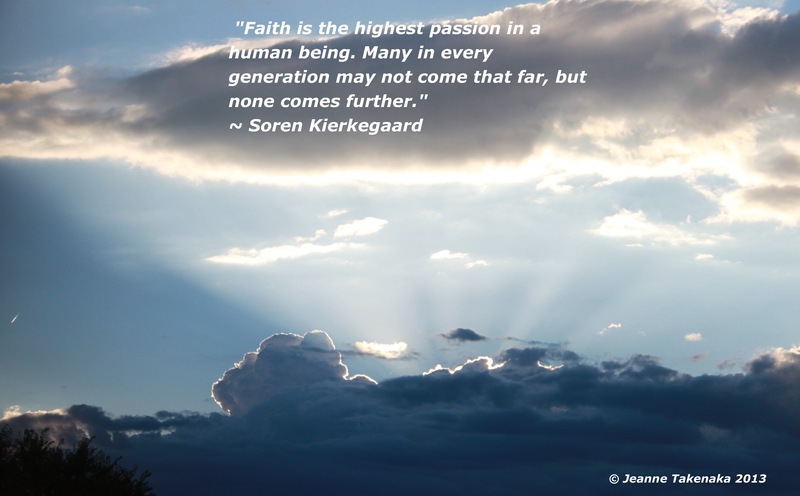 Do you agree or disagree with the idea that faith is the highest passion in a human being? I don’;t know that I’d agree with that strong a link between passion and faith. That view comes from Jesus’ presentation in the Gospels; walking among us, one is struck by His ordinariness, His open and welcoming manner. There’s little passion that one can infer as either present or desirable. One comes away from this ‘meeting’ with Him with the feeling that He’s ‘telling it like it is’, and that He intends for Himself to be the bedrock upon which people can feel secure to build their lives. He goes further – at the Last Supper, He does not ask for veneration. He wants His friends to think of themselves as consuming Him! There’s something very earthy about this, something that looks deliberately designed to cut across the excesses that freighted Judaism at the time. The problem with passion is that it’s inconstant, and can often miss the point of the relationship with God. Like infatuation, in a way. You can be infatuated, and strongly so, for all of the wrong reasons, but you can’t build a lasting relationship on those wrong reasons. Some moments of passion are fine – those are the mountaintop experiences. But you can’t live on a peak. There’s mo water, and usually no food. To live, you’ve got to be in the foothills or lowlands. But that doesn’t mean you can’t look up from time to time, and remember the view from the mountain. Living in the lowlands is definitely where I reside. There’s food and water, and snakes, bugs and places to trip. But keeping my eyes on the peak (Jesus) requires from me a determination to do so, rather than solely focusing on the path in front of me. As I read your comments, a question came to mind. Do you think there are different levels of passion? I think of people like Jim Elliott who are passionate about their calling (in his case to share the gospel with a hostile indian tribe), or Billy Graham. And I know there are people who have a “flash-in-the-pan” sort of passion about something. What do you think? There are definitely different levels of passion – the sustained passion of a Billy Graham or a Mother Teresa is at one end, and the ‘passion’ that spurs someone to go to an altar call one Sunday, and who never goes to church again, is at the other. Most people, I think, can sustain a high level of passion for a short time, and then, unless they have a place to go with it, it starts winding down. By ‘a place to go’, I mean putting their passion to active work in a manner with which they feel a strong sense of identity. Whether that be missionary work, active ministry work, whatever…that energy is harnessed and deployed. Without that kind of release, some will become fanatics, and most will drop away. Maybe James had it right (much to Martin Luther’s displeasure) that ‘faith without works is dead’. I suspect this might be part of what he was talking about. Hm. Very interesting quote and thoughts from you, as well as Andrew’s comment above. This is something that kind of boggles my mind. I guess since I tend to be passionate in my views, it makes sense to me that my faith be passionate, as well. I guess it depends a LOT on how we define passion. For instance, the movie on Christ’s life is called the PASSION of the Christ…Passion Week is the week before Easter…Christ was passionate (and compassionate) enough to leave His place and die for mankind. I guess that just reinforces the idea that whether we are living or dying, we are doing it in Christ. I think I just read a verse like that in Romans 14…yes, verse 8. Whether we live, we live to the Lord; and whether we die, we die to the Lord. In the end, I think it’s less about OUR passion and more about God’s passion for us.